Dinosaur :: Movie Information :: RabbitTV GO! A dinosaur egg is stolen from its nest and passed along by various birds, animals and other predators each hoping to eat it. Fumbled into a community of kind and nurturing lemurs, it cracks open and Aladar, a baby dinosaur emerges. He lives happily and peacefully among the lemurs, who raise him into adolescence. 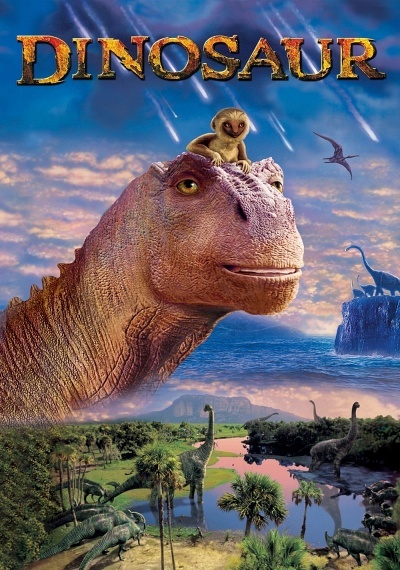 However, when a natural disaster occurs, wiping out the beautiful rainforest that was their home, teenage Aladar joins a dinosaur pilgrimmage--and discovers his true ancestry--in order to bring his lemur family to safety.